The City of Highland decided to widen and improve this 0.9-mile section of the primary north-south route through the City. The pavement had deteriorated and the road drained improperly. In addition, stop lights and stop signs at either end of the project contributed to traffic congestion and delays. Oates Associates was hired to design the reconstruction of pavement for the stretch of road from Broadway to US Route 40. 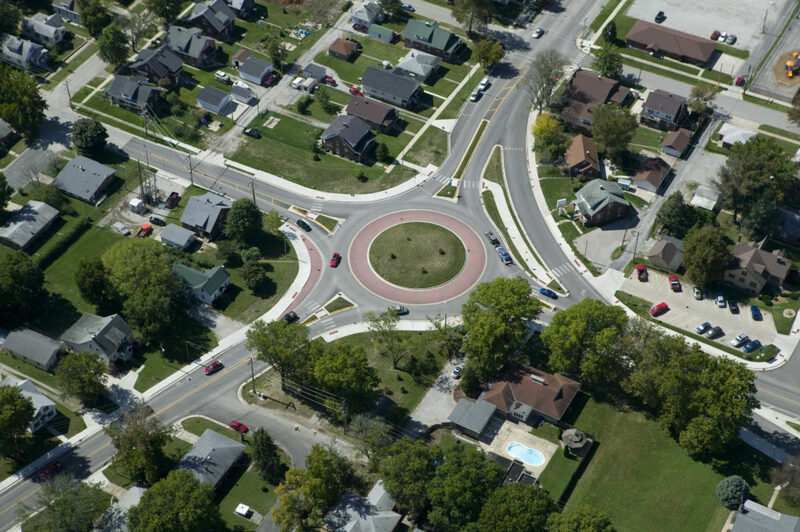 Stop lights and stop signs were replaced with the first modern roundabout intersections in Southern Illinois. These reconstructed intersections improve traffic flow, reduce traffic delays and improve air quality. The project included re-profiling the road, widening the pavement, and adding curb and gutter with storm sewers. Handicapped accessible sidewalks were added on one side of the road. The replacement of an at-grade rail crossing was required. Also, a significant waterway crossing the road required replacement of very large cross-road culverts. A project development / design report, including intersection design studies, was prepared for the reconstruction of this urban road. Right of way documents were prepared for all parcels along the route and acquisition services were provided for all deeds and easements. Full construction services including staking, testing and construction observation were provided. The federal funding for this project required full-time construction observation and strict documentation requirements.